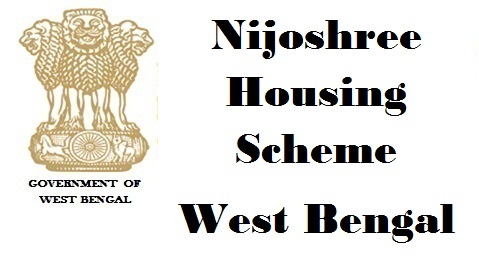 The West Bengal state government has announced to launch a new housing scheme termed as Nijoshree Housing Scheme – 2018. As per the state government, it has planned to offer beneficiaries with 1 BHK and 2 BHK residential flats under this scheme. The provision has been provided by the state government for people whose monthly income is below Rs 30,000. The new housing project scheme will be regulated any supervised by the State government of West Bengal. The process of online application forms will be made available via web portal services. The state government has announced that the provision will be offered to Lower Middle Income residents of the state. The details of online web portal shall be provided by the state government once the scheme has been implemented for the beneficiaries. The new scheme is a type of affordable housing scheme for the targeted groups of people belonging to the middle and lower income groups of the state of West Bengal. As per the recommendations made by the state government, the scheme is focused on offering with 1 BHK and 2 BHK residential flats for each registered beneficiary under the scheme. 1 BHK Flats Price – To make the residential flats more affordable for the beneficiaries the state government has announced to provide 1 BHK flat for just Rs 7.28 lakh. 2 BHK Flats Price – The state government has also announced that the same income groups can also book 2 BHK residential flat just by investing a sum of Rs 9.26 lakhs in the project. As per the latest recommendations stated by the government of West Bengal, the project shall be offering with over 50,000 flats under the scheme in the initial stage of its launch. To help ease the process of implementation for the beneficiaries the state government also aims at completing the entire project by next 2 or 3 years. To make the process of implementation more effective the state government has announced that the project will be implemented as two categories. Both categories are offered for targeted income group individuals. Under these categories provisions have been provided for both 1 BHK and 2 BHK flat registrations and bookings. Below are full details related to eligibility criteria and project description. Description for 1 BHK Flats – This category is open for individuals belonging to income groups below Rs 15000 monthly. Under this category government will provide with facility for 1 BHK (Bedroom, Kitchen and Hall) flats. The total covered carpet area of the flat will be around 378 sq. ft. The government has set the cost of the flat to Rs 7.28 lakh. Description for 2BHK Flats – The state government has opened this category for individuals whose income is between Rs 15,000 to Rs 30,000 on monthly basis. The provision for booking 2 BHK (2- Bedroom, 1- kitchen 1- Halls) flats has been provided under this category. The total carpet area covered by each flat in this category is equivalent to 559 sq. ft. The government has also set a price of Rs 9.26 lakhs for each flat. The process of online application for form filling shall also be provided by the government to help speed up the process of booking and registration. Each beneficiary will be able to make use of the web portal services. The government has also mentioned that the process of registration and booking will be fair such that each eligible candidate will be able to make only one booking for either 1 BHK or 2 BHK flat. In the initial stage of its launch the state government has also ensured that the process of booking of the flats shall be provided online for beneficiaries who are having monthly income below Rs 15,000 to Rs 30,000. The details related to booking and registration will soon be updated by the state government on official web portal. The state government has also mentioned that the flats would be constructed on land that has been made available by State development authorities and local bodies. This will offer with benefit where individuals can purchase flats for much lower price under this scheme. The new housing scheme has been made available by the local government after successfully implementing Banglar Bari Scheme. This earlier scheme was implemented by the government for benefiting slum dwellers in Kolkata city.